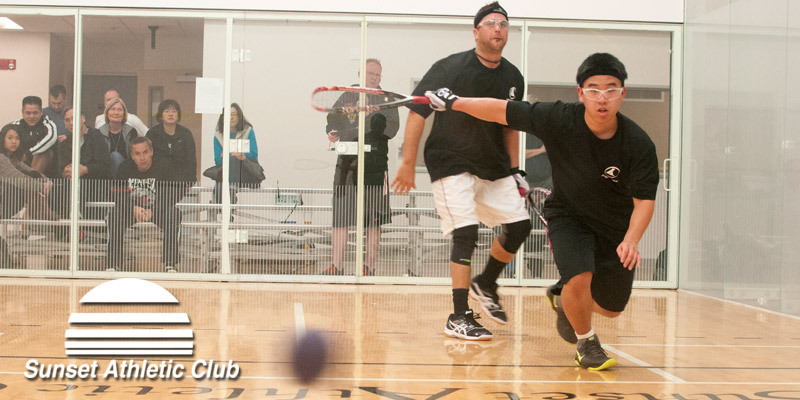 Our director is dedicated to providing the best racquetball programming available. Sunset offers nine regulation courts and AmPRO certified instructors on site. 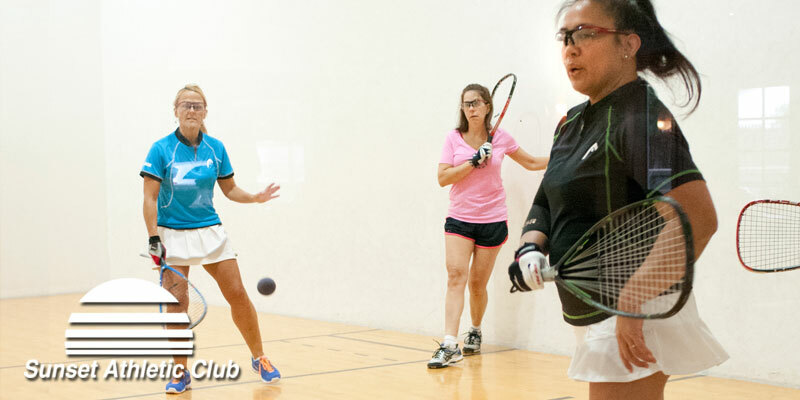 The facilities here allow you to enjoy recreational racquetball or train like the pros. Our programs provide play and instruction for all ages and all levels of play. We cater to the recreation minded player as well as those interested in tournaments, competition and skill development. 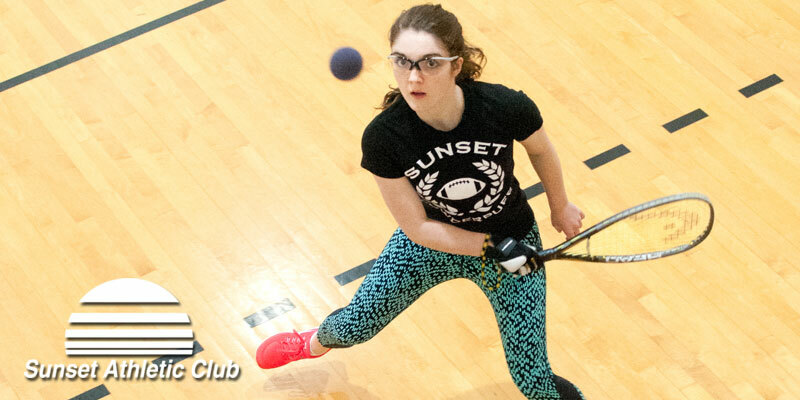 We want to integrate new members into the racquetball community at Sunset Athletic Club by providing lessons, leagues and activities for them to learn the game and improve their skills. New Member Orientation - New members receive a free 30 minute orientation. Leagues - Men’s and Women’s singles, doubles and mixed doubles for all skill levels. 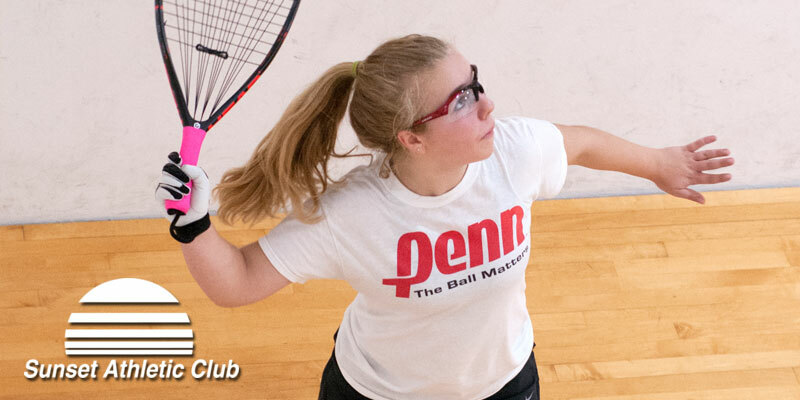 Our popular Junior Racquetball program is directed by experienced coaches who also serve on the board for the Oregon Racquetball Association. We offer singles and doubles leagues, clinics and demos, as well as host tournaments. Ages range from 6 years through high-school age. Lessons are available from AmPro Certified instructors. We welcome players of all skill levels. Learn the rules, new shots, serves, strategy and drills to perfect your game. Game analysis is also available - we will critique your game and offer advice on where to improve. Our High School teams practice from October through March and have enjoyed great success in the State and National tournaments. All the players enjoy learning, playing and participating in Junior tournaments, such as the Winter Blast - hosted at Sunset Athletic Club each January. Come enjoy our nine courts with all of your friends and family. 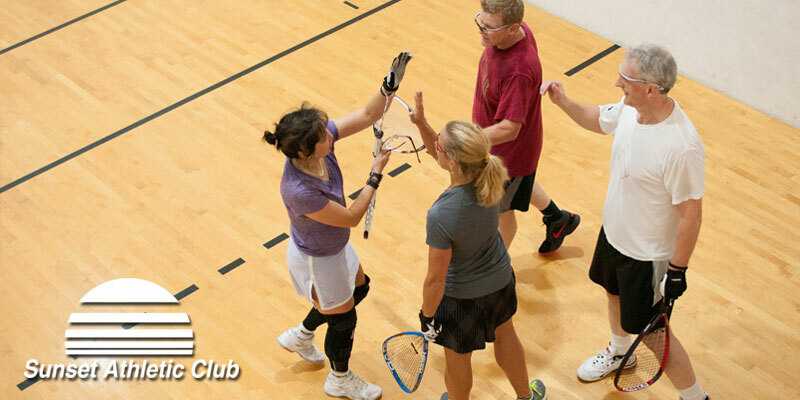 Racquetball at SAC is all about having fun, staying fit and learning good sportsmanship. The facilities here allow you to enjoy recreational Squash and Handball or train like the pros. Our programs provide play and instruction for all ages and all levels of play. We cater to the recreation minded player as well as those interested in competition and skill development. 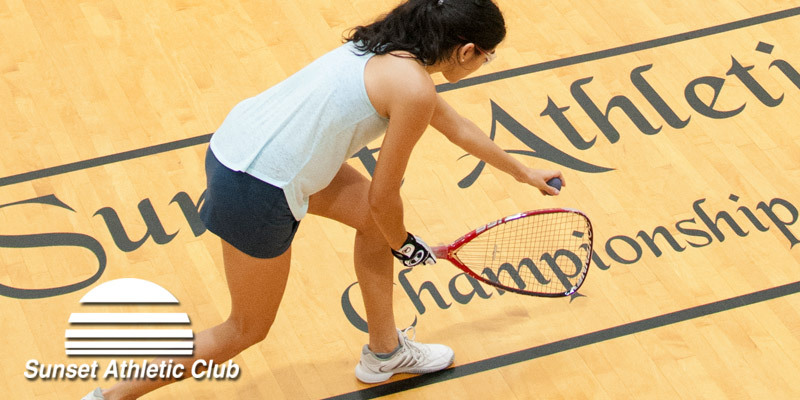 Two of our brightest and newest courts are available for Squash players! Ask for details on lessons and match play. Sunset Athletic Club also co-hosted the World Handball Championship in 2009.